Cherry blossoms are so pretty and in all fairness these aren’t so much an attempt at copying the beauty of cherry blossom trees as they are an inspired artwork. They are so pretty and very easy to do actually. 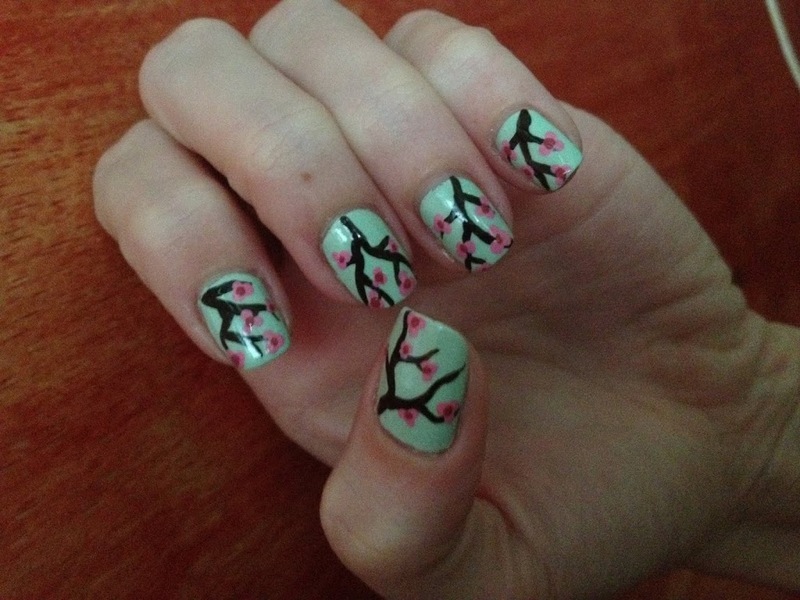 I applied two coats of Sally Hansen Xtreme Wear in Mint Sorbet (purchased in the US) and then used a thin artists brush and some brown acrylic paint to make my trees and branches. Then I used light pink and dark pink acrylic and a dotting tool to add the flowers. I hope you like them. I sure do! Thanks! I was so glad I grabbed a bottle while we were stateside last year. I have enjoyed using it with several manicures. It’s such a great color. I only wish I had also grabbed Lacy Lilac too. Oh well, next time! 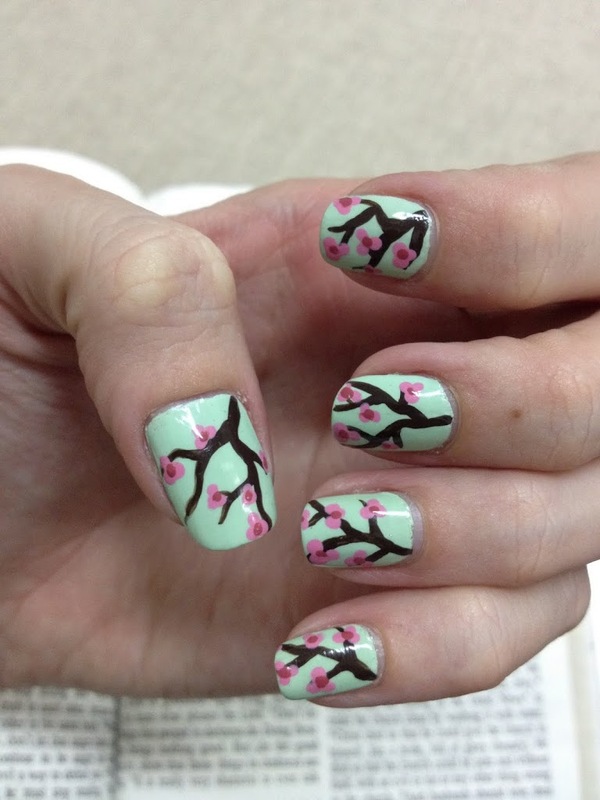 Have you done your sakura nails yet? I just found and was blown away by your blog yesterday so I haven’t been able to look through everything yet. Would you mind if I re-created these for the final day of the Pre-Spring Challenge tomorrow? I’d also like to include one of your pictures in my post if that’s ok with you. I would love that! Can’t wait to see your recreation!